The WBNUJS launched an innovative course, PG Diploma in Nuclear Law (PGDNL) from the academic year 2012-13 on distance education mode.This is one year course organized in collaboration with Department of Atomic Energy, Anushakti Bhavan ,Mumbai. In the background of growing importance of the technology and energy related laws, a study of nuclear law has great use for operators of nuclear plants, vendors, legal practitioners, officers of AEC and BARC and the general public. This is a unique and highly useful course in understanding the laws relating to liability for nuclear damage, nuclear safety and regulation regime, nuclear non proliferation and safeguards in addition to knowing about basic principles of nuclear law . 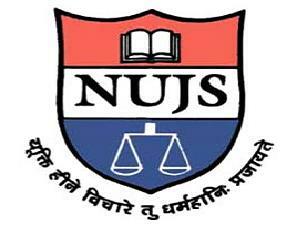 Specialists in nuclear law and public international law disciplines from DAE and other institutions including NUJS will be involved in contact class programmes of one week duration both in Monsoon and Winter session in Mumbai .Up- to- date course material prepared by the experts will be furnished for study . It is hoped that the PGDNL course will greatly enhance the professional competence of candidates and enable them in effective handling of issues relating to nuclear law. This is the first of its kind on the subject initiated in India with Governmental collaboration. Course Coordinator: Dr.Sandeepa Bhat . Last date for receipt of applications: 20 June 2014.